It can be overwhelming to think about your own death. 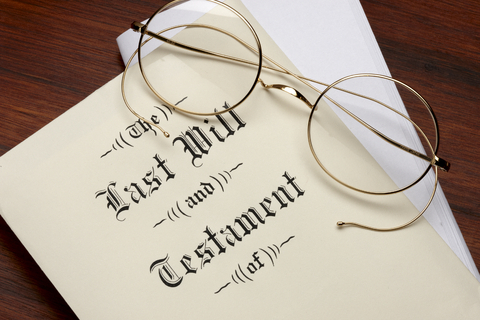 A will can make sure your assets are dispersed according to your wishes. A will can also ensure that the people you want to look after your young children get custody in the unlikely event both parents pass away at the same time. I can help you plan to protect your family in such a case. Having a will is a personal choice and I don’t believe you should have to pay a fortune for this simple peace of mind. I offer affordable wills with discounts to veterans and those over 60. I also offer a sliding fee scale based on your income level. If you already have a will, don’t forget to keep it updated. Major life changes may require changes to your will. Call me to discuss whether your life changing event requires a new will or an amendment to your old will. Trusts can be set up to make processing your estate faster and cheaper. There are a variety of trusts available and choosing the type of trust which best serves your needs can be confusing. You have children from multiple marriages. A trust can ensure that the specific instructions for the distribution of your estate are carried out. Keep your finances private. A trust can help you avoid the probate process which can be lengthy and is generally open to public access. Protect your legacy. A trust can protect your estate from your heir’s creditors or set up protections for heirs that might spend extravagantly. You want to donate some of your estate to a charity. A trust can be set up to allow certain assets to go to a charity in addition to your other beneficiaries. Limit tax exposure. Trusts can be set up to help shield your estate from taxes. A beneficiary is receiving government benefits for special needs. An inheritance can disqualify a person from the receipt of certain government benefits. If you have an heir with special needs, a trust might be helpful. Let me help you decide if a trust would benefit you or your family.